At one time or another, most people think to themselves that they wish they could fire their boss. Whether its discrepancy over vacation time or just difficult to work under the constant supervision pressure, there is an opportunity in the world of fashion design to be your own boss without opening up a shop with expensive overhead. Although there is still a boss to answer to (the client) some fashion design school graduates have in mind a different sort of career. One in which they call the shots when it comes to owning their own design process. 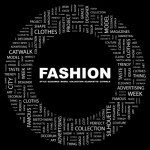 So, how feasible is it for a fashion school graduate to work as a freelancer in the industry? Here are what the experts have to say about it. When you are first starting out, you will find that some potential clients won’t consider working with you if you don’t have a degree. Time spent in school learning all you can is well invested, because to some extent, a degree counts as work experience. Along with an education, you will also need an impressive portfolio. When you are competing with other fashion designers, an outstanding portfolio is often the deciding factor. Put together a collection of your best work, and constantly strive to better your best.